Look for our specials! Two hundred metres to the pristine waters of Geographe Bay , Dunsborough town centre, galleries & cafes. Three minutes drive to golf, 15-20 minutes drive from 30 plus Margaret River wineries. Bay Village Resort Dunsborough nestled in beautiful Geographe Bay offers a range of accommodation styles form 3.5-4.5* and is only a short walk to all your shopping needs. The town offers weekend markets, art/craft galleries and restaurants, which showcase the regions high quality produce. Dunsborough is also a prime location for leisure sports, adventure activities and environmental tourism - diving, swimming, hiking, caving, surfing, windsurfing, fishing, snorkelling, bird watching and flying etc. My neighbour and I went for some stress free escape! Colin and Vivienne were very helpful, cottage 13 was very comfortable and clean. Two great restaurants on premises. Central to all amenities and can walk to beach. Follow the round-a-bout into the town centre, you are now on Seymour Boulevard. 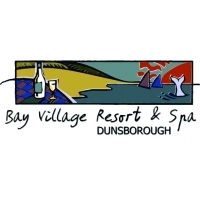 Turn right at first roundabout and again at the T junction into Dunn Bay Road and then turn right almost immediately, you are now at Bay Village Resort Dunsborough.